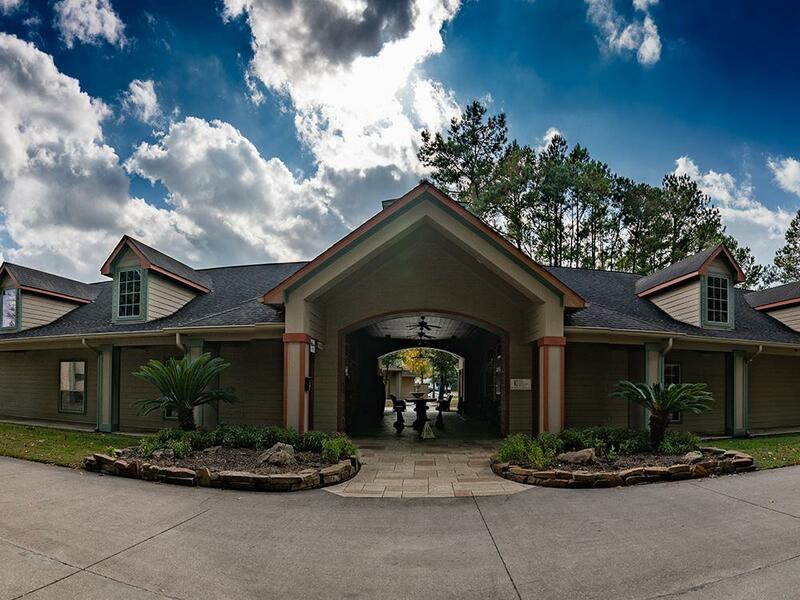 Enjoy an endless array of activities in the resort & in The Woodlands Town-Center and waterway nearby, always abuzz with concerts, outdoor cafes, shopping & home to some of the best golfing in the South. Good Sam Top Rated. I would never dream an RV Resort in the city would be this secluded. No outside noise from freeways, trains or city streets. This place was really nice. Our fourth or fifth time there and we are making this our RV Resort of choice when in the area, which is about every 2 months. August is 1/2 off month if you ask for it. All sites and pads are concrete, grass very pretty and neatly trimmed. They have a pool, hot tube, game room, shuffle board, small pond for fishing (no license required), nicely stocked store and the best part I like is they have small trees for shade. The trees are not so big that limbs might fall onto your rig, but large enough for shade from the TX sun. Can handle the smallest rigs to the big rigs. They cater to the newer RVs as they don't except cab overs or any rigs older than 12 years without approval first. Very friendly staff each time we have been there. Love this place!!! Really enjoyed out time here! Great park and very well maintained. The staff were very friendly and helpful also! We will be back as soon as possible! This was our first time staying here and we were very impressed from the time we checked to when we left everything was as expected from a very nice RV Park. Great location close to The Woodlands. We look forward to using the great amenities on our next trip! Thank You! Rayford crossing was one of the nicest campgrounds we stayed at during our cross country tour. They have easy pull through or backing sites and everything is well maintained. Beautiful pool and clean restrooms. The RV resort is very well maintained, peaceful and tucked away in a quiet area. I cannot remember the name of the young lady that helped us, but she sure was helpful and very nice! We didn’t use all of their facilities, but we wish we had made time to use their beautiful pool! However, the intersection of Geneva & Rayford is under construction so it can be a little difficult to get to, but hopefully they’ll get that project finished soon. Very well manicured and appealing, nice grassy area next to each site. The sites on west side catch shade first, worth the upgrade. All sites have tables. Very nice pool and hot tub, a good variety of games (ping pong, pool, horse shoes, etc) on site. They have a nice large meeting room. Restrooms are very clean. You will need your rig levelers as the sites are not level across the tires. Stayed here with an RV club. Beautiful place. Clean and spacious concrete sites. Great staff. Very quiet. Near many attractions. My husband and I stay here every time we are in The Woodlands area, which is usually 3-5 times per year. We love this resort! They always greet us with a smile and are very consistent with how well everything looks and how well everything runs. This is one of the few RV resorts where I feel at home. The sites are well maintained and clean. The shower facilities are wonderful! The hot tub is always hot and very inviting, especially after a long day. We can't wait to come back through the area and stay here again! Very friendly and helpful staff, clean facilities and quiet atmosphere. Will definitely stay here again! Nice clean place. Absolutely no problems. What a hidden gem! Beautiful park, beautiful facility and amenities. Greeted with a smile and efficiency at check in. Spotless sites with paved parking and grassy area. Picnic table was cleaned as we pulled into the site. Plenty of room to walk the dog. Definitely recommended for short and long term stays! The restrooms are very nice, but, only one commode in the men's restroom. Otherwise they are a five star. friendly staff, fabulous resort, some sites are to close together, some sites sloop to much require extra leveling but overall the park is a 10++ we were there in a Tiffin Rally. Hello Mrs. Pleasant, We are happy you enjoyed your stay with us at Rayford Crossing! Thank you so much! One minute you're in Houston, the next you're out in the country in a nice, quiet, spacious park. Very clean, well maintained, excellent staff and very appealing place. We will definitely be back! I stayed in premium site #74, which included a Weber grill, patio set and fire pit. The pull-thru site was paved and level, and long enough for 39 ft RV and tow car. Internet was free and excellent. I was even able to watch Netflix ! There is a horse farm stable next door, but no odors and they sell farm fresh eggs ! Pool was closed in Feb, but hot tub was awesome. There are several year round residents, but all sites are very neat and maintained. There are 2 fenced dog areas and a designated pet walk area with potty bags provided. 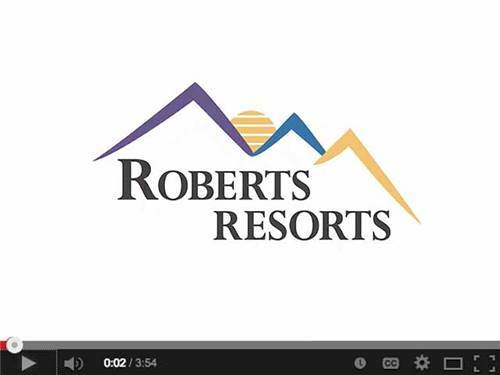 Their website is an accurate representation and this is truly a resort, not a simple campground. You are escorted to your site and they sanitize the water spigot before you set up. They even sanitize the laundry facilities daily...washer/dryer costs $1.25. There is daily exercise class for ladies and other weekly activities. Everyone is very welcoming and friendly. There was a problem with the septic pump, which was on my site...they worked on it all day. When I checked out, they credited me for that night. That is true customer service ! Although a bit pricey, it is worth the amenities. I was here 2 weeks. I recommend highly and would definitely stay here again. It is close to The Woodlands and there are plenty of stores and restaurants in the area. The only negative is the traffic congestion...plan your outings accordingly. Very nice well maintained campground. Easy reservations and check in. We have stayed in more than 150 RV parks. Rayford's Crossing is one of the best we have experienced. The staff are simply the best period. They went out of their way to ensure our experience was amazing. Thanks for making our stay so enjoyable!! Great place in Houston. The staff was very friendly and helpful. The sites were easy to get into. The facilities were very clean. We plan to go back. From the moment we arrived we were impressed by the attentiveness of the staff, cleanliness of the facility, and amenities offered. You are nestled among the tall pines while still close to city activities. Beautiful rv park with great amenities. Extremely helpful staff. Park had everything plus enjoyed all the activities. Convenient location. Can't wait to return. Loved the park overall. RV Sites and grounds were wonderful, pool was beautiful. Kids had lots of fun. Location was very quiet and set back some (which we liked) but simple enough to find. Cabin accomodations could be upgraded to match the level of the park. Would definitely recommend this park to family & friends. A beautiful "hamlet" close to the Woodlands and Houston. We were in town to attend a charity event, and stayed 4 nights in our motorhome. The park is very clean and well kept, and the staff is friendly and always ready to help. All concrete roads and pads are in great shape and very level. The pool/spa/outdoor activity area is immaculate (too bad the weather didn't cooperate during our stay). There is a dog park, and designated dog walk areas (with potty bags and receptacles provided). There is also a playground for the kids! We would definitely stay here again when in the area. Easy check in with guide to site. This campground is better than advertised. We had a pull thru site that was good sized and easy to negotiate with towed vehicle. Would recommend to anyone in the area.Staff very friendly and more than willing to assist. Special Offer: Buy 1 Night, get 2nd Night 1/2 Off! Enjoy our Luxury Top-Rated Resort at a special discounted price when you stay for at least 2 nights. Offer includes all of our top class amenities. Buy one night at our regular rate and enjoy a second night for half price.